Wonderful staff that really know what they are doing. The technician was on time and answered all of my questions. It has been 3 weeks and I have not had ant spiders since they were out. Thank you everyone at spectrum for solving my pesky ant problem! Everyone that is been here has been out going, friendly, and professional! I"ve only had wonderful experiences with Spectrum. When I call to schedule, they quickly return my phone calls and have great customer service. Today, Zack sprayed my home, while my in-laws we"re here, and texted me to let me know that he was super careful not to spray in the areas near my daughter"s toys, as I had requested! Very pleased with the attention to detail. Cory did a great job at our location. He was very professional, and was able to track down the source of our bug problem ! Even my dog liked Cory ! Thank you for your excellent work. 5 Stars ! We highly recommend spectrum very professional prompt and courteous. I so appreciate the service that spectrum has given me they come right out when I call the very attentive and their people are excellent. 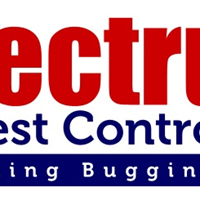 I am almost embarrassed to say we had a bedbug problem, we battled with another company that couldn't seem to get rid of the problem but spectrums program took care of it and I'm finally able to get some sleep again - I wish I would have called them sooner! My first appointment was with Alex and he was fantastic. He even showed up early which was a great surprise. We get bee control every year, and Cory Has been our technician every time. He always Does a terrific job and is always on time. If you are looking for a company for bee control, Spectrum is who I recommend. We have been a regular customer for 4 years now and have never looked back. Great service and technicians. They respond quickly and have kept our 100 year old farmhouse, that"s surrounded by woods and vegetation, pest and rodent free. They"re easy to work with, informative, and affordable. I would definitely recommend! Cory took his time and did a fantastic job. Was very friendly and explained things to us. We highly recommend him. Great job by Corey explaining everything about the service. Very professional. I was very happy with the yearly rate as well. Corey did a great job! He was professional and courteous. And he was very thorough. I"m very happy with Spectrum and Corey! Thank you for always doing such a great job! Very thorough very respectful got the job done. Cory came to my apartment within 2 days of me finding a bed bug. He inspected and began the treatments every other week for 3 treatments and i am now bed bug free. Cory always kept me in the loop with when he was arriving, treating, and when i was able to go back into my apartment safely. He couldn't have been nicer or more helpful in answering all my questions. Cory did an awesome job and i would absolutely call him back if i ever needed anything in the future. Highly recommend! Spectrum has offered us great service from the beginning. They are always here when they say they will be here and we never have any bug problems. Our kitchen was full of black ants and Spectrum did a treatment that solved the problem. The guys were super friendly and respected our home. Great service, professional staff, and on time. Our technician Billy was out to do bee control and he was super. He answered all of our questions and made us feel at ease. He even took the time to play with my dog, do not hesitate to give spectrum a cal. Great customer service and it took care of our ants. I called in on Monday and they had a technician at my house on Tuesday. Aj was great! Arrived in a timely manner. Very friendly and professional. Explained what he was doing. Very informative. Spectrum was able to squeeze us in the next morning when I called to schedule an inspection. Corey completed our inspection; he was very thorough & assessed our bedrooms & livingroom. We definitely recommend Spectrum. This company is fantastic! Cory, the technician who sprays my house quarterly, is very knowledgable and super easy to do business with! After starting with this company, nothing is "bugging" me! Highly recommended! They always do a great job. We have been with them for quite a few years and they always offer 5 star service. Aj was fantastic. He answered all of our questions and was a pleasure to work with. Thank you for years of great service. No mice now for 2 years!!! Great service at a fair price, and exceptional customer service. My sewer line collapsed and I asked they delay my scheduled service but they did it anyway and said catch up next month. This kind of kindness is seldom seen anymore, and is greatly appreciated. Always on time. Very polite and courteous. Would recommend them to anyone. Cory (everybody) made this a very easy process to go threw. Thank you. Fast, quick and professional service. In addition to my normal service, the Technician sprayed for a wasp and fly problem. He was courteous and very helpful. We had a really bad bee problem that Spectrum took care of. They were fast to respond and took care of the issue. Great Company. Solved our ant problem in the kitchen. We have used other companies that have not even come close to Spectrum. We started service last year and have not had a bug problem since. Great Service. They got rid of our bees!